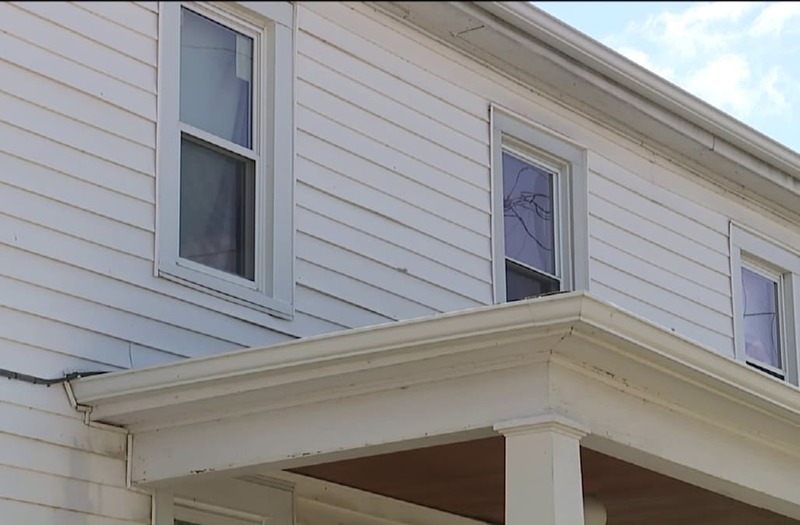 SANDUSKY, Ohio (WJW) -- A good Samaritan is credited with catching an 18-month-old who fell from a gutter after climbing out onto a roof. Jill Harper was on her way home on Sunday when she spotted the toddler dangling from the Mills Street house in Sandusky. "I just pulled my car up and stopped and jumped out and ran up there," Harper said. "I could only touch his foot so I started banging on the house hoping that somebody would come outside and help me. And he let go and I caught him in my arms when he let go." Police said if she had not been there, the boy would have landed on the stairs below. A good Samaritan is credited with catching an 18-month-old who fell from a gutter after climbing out onto a roof. "I just pulled my car up and stopped and jumped out and ran up there," Jill Harper said. "I could only touch his foot so I started banging on the house hoping that somebody would come outside and help me. And he let go and I caught him in my arms when he let go." The child was unfazed by what happened, but his guardian was stunned when she learned he got outside and almost fell. She told investigators that she went to use the bathroom, and the child got around a safety gate on the stairs to the second floor then slipped out a bedroom window. "Children, they will surprise you at any time. You turn your head for just a second thinking they're going to be OK," Sgt. Kevin Youskievicz said. "They will disappear quickly because they're adventuresome, they want to find out and that's exactly what I think happened here." Police said the guardian will not face any charges, but she was reminded to keep a close eye on the toddler. "It was the craziest thing that ever happened in my life," Harper said.